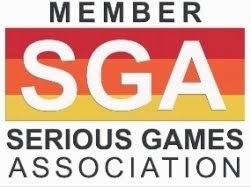 Noah Falstein is scheduled to speak at the SV IGDA Chapter’s Game Project Connection Night hosted at Cogswell! Noah is among the top Serious Games designers in the world. He is also an industry veteran from the arcade and LucasArts days. If you feel like times are tough now, talk to him about the collapse of the arcade industry and perhaps your perspective will shift. Noah is a lifetime innovator. What others dream about – Noah does. If you claim to be into serious games – or game design at all – and you don’t come to this event, then you’ve missed a great opportunity. Noah will talk about his recent work on the Cisco Mind Share Game and offer a glimpse of a new Mata Hari game in the works. Following Noah’s talk there will be a question and answer session. After Noah’s remarks people will have time to walk around and be inspired to connect – gasp, face-to-face and not electronically – at Game Project Connection Night. Tables will be set up for game developers to share what they are working on with people who just want to learn more or might be interested in working on a project. Noah got his start in the computer game industry in 1980 with a job at Milton Bradley's Advanced Research Division. Since then he has contributed to over 40 games, including several bestselling and critical hits. Among his best known games are: the Arcade classic Sinistar from Williams Electronics (1983), PHM Pegasus from LucasFilm Games (1986), Indiana Jones and the Last Crusade from LucasFilm Games (1989) and Indiana Jones and the Fate of Atlantis, LucasArts Entertainment (1992). 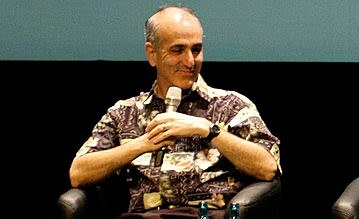 As one of the first ten employees at LucasFilm Games (LucasArts), The 3DO Company and DreamWorks Interactive, Falstein has taken a leading role in launching major game companies. He has worked as a programmer, project leader, producer, executive producer and creative director. Currently, Falstein runs The Inspiracy, a game design consulting firm established in 1996. The Inspiracy has provided game design and production experience to companies as diverse as Disney Interactive, DreamWorks Interactive, Totally Games, Humongous Entertainment, Cavedog, Sega, Mattel, Intel and Shell Oil. In recent years he has been working increasingly in the Serious Games field as a designer and producer on projects that use game techniques and technology for purposes other than entertainment. This work includes medical, corporate and military simulations and training titles. 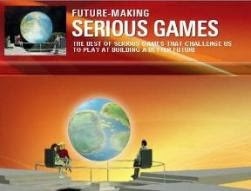 Falstein is also on the advisory boards for the Serious Games Summit and the Games for Health conference and since 2002 has been writing the design column in Game Developer Magazine.